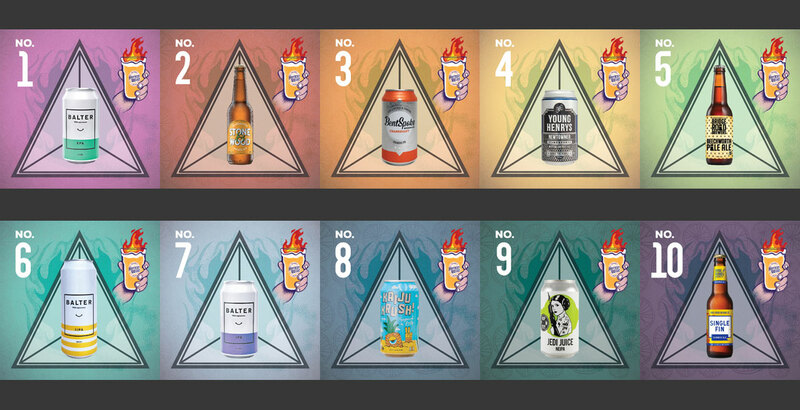 The results of the eleventh GABS Hottest 100 Aussie Craft Beers poll are out and it's the same one-two-three-four as last time around. But there's been plenty of change too and here we look to make sense of it all in visual form in our annual Hottest 100 Infographic. Thanks to Jessie at Craft Instinct for her work on all of our Hottest 100 artwork again this year! You can download a massive PDF version of the infographic if you'd like to print it out here. You can find the rest of our coverage of this year's poll here.